OS8549 - North Church St. 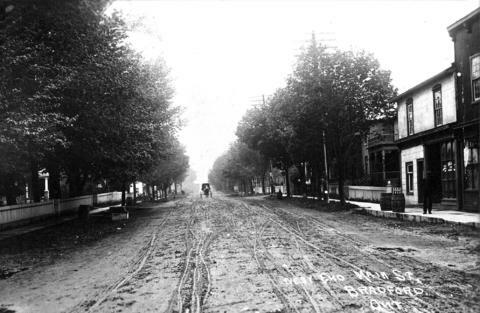 This is a picture of Holland Street looking west when it was just a dirt road. Notice the trees that used to line the street. The white building on the right was the post office and up to 1915 was home to the first library in town. The dark building beside it was a laundry .